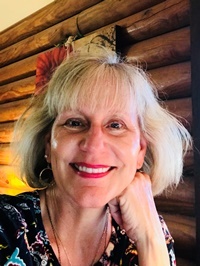 In today's guest post, Marty Ambrose writes about the background to her new historical mystery, which centers on the "haunted summer" of 1816 – when a group of young people gathered in a large villa by Lake Geneva, creativity was sparked, and considerable drama ensued. 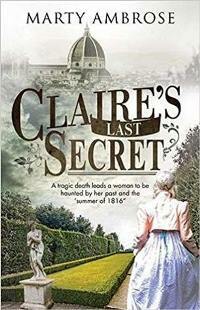 Read on for her account of the circumstances inspiring Claire's Last Secret. Byron once said, “I awoke to find myself famous.” – Truly, it is every writer’s dream to be thrust into a world of sudden, unfolding adoration for one’s work. But the inspiration for Claire’s Last Secret was more of a nightmare: I “awoke” during my summer teaching hiatus to find myself with a back injury that left me practically housebound on an island, in between writing projects, and feeling like the world was passing me by. Even though my husband was my rock, I felt isolated. People get busy. Time moves on. But I was waiting, not sure what was going to happen next. I watched a lot of the History Channel. I texted friends. I binge watched Netflix (loved “Shetland”!). And I read. New books. Old books. Classic books. Whatever books. And, slowly, in spite of the future’s uncertainty, I came to appreciate that I had given the gift of stepping out of life for a while and could just let my imagination run free. Much of my life, I’ve been a scholar of the Byron/Shelley circle and had a stack of unread books about them piling up in my home office. I happened to pick up Daisy Hay’s volume, The Young Romantics, and learned that she had found a fragment of Claire Clairmont’s (Mary Shelley’s stepsister) journal, saying that the famous Byron/Shelley summer of “free love” in 1816 had created a “perfect hell” for her. Of course, Claire wrote those words when she was almost eighty (something that I was surprised to learn), impoverished, and living in Florence, Italy, having outlived the two great poets and Mary by many decades. Intrigued, I wondered what it would feel like to outlive everyone who had been part of one’s youth. As the lone remaining figure of that famous quartet, she’d been left behind. In that moment, I bonded with Claire and decided to tell her story with the “voice,” that had not been heard yet, but as a fictional memoir. As I delved into Claire’s life, pieces came together in my thoughts: her illicit love for Byron, her roller-coaster relationship with Mary and Shelley, and her later years in Italy—and I knew I had to tell her story from two perspectives: the young, reckless Claire and the older-but-wiser Claire. We see her at two stages in her life: when she’s seventeen during the summer of 1816 and when she’s 75, living in Italy as an expatriate. This was quite a challenge for me as a writer because her “young” voice is very different from her “mature” voice; she’s an older and wiser woman in much of the book, but still so influenced by what happened to her in her younger days. Then, there was the mystery of her lost daughter with Byron. Her lovers. Her passion for life. It all coalesced into the kind of genre-bending novel that I’ve always wanted to create. Even with my background in the Romantics, I had to complete a lot more research on Claire, pouring over biographies and savoring her marvelously witty letters. She was a remarkable, but rather elusive person as the “almost famous” member of the group, and I found she inspired me with her independent spirit. As I wrote the book, I healed after successful back surgery, wrote a grant, and had the amazing opportunity to travel to Geneva and Florence with my hubby to research the book. I awoke to find myself with a new life. 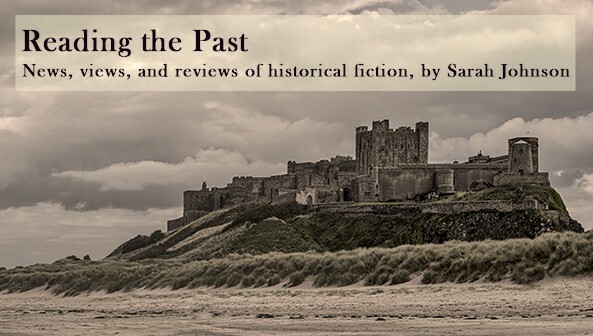 Like Claire, I had the chance to see Europe with fresh eyes—in my case as an author moving in a new creative direction with my historical fiction. I saw Castle Chillon on Lake Geneva and walked in the steps of the greatness that passed there before me. I saw Mary Shelley’s Frankenstein manuscript (with Percy’s notes) at the Bodmer Museum. I wandered in the Boboli Gardens in Florence, Italy, and imagined Claire’s final years, looking back but still believing in the future. What began as a challenging physical injury eventually became my own summer of “awakening” into an entirely new life that inspires me each day: every writer’s dream, indeed. Marty lives on an island in Southwest Florida with her husband, former news-anchor, Jim McLaughlin. They are planning a three-week trip to Italy this fall to attend a book festival and research the second book, A Shadowed Fate. This sounds wonderful. I'm looking forward to it!